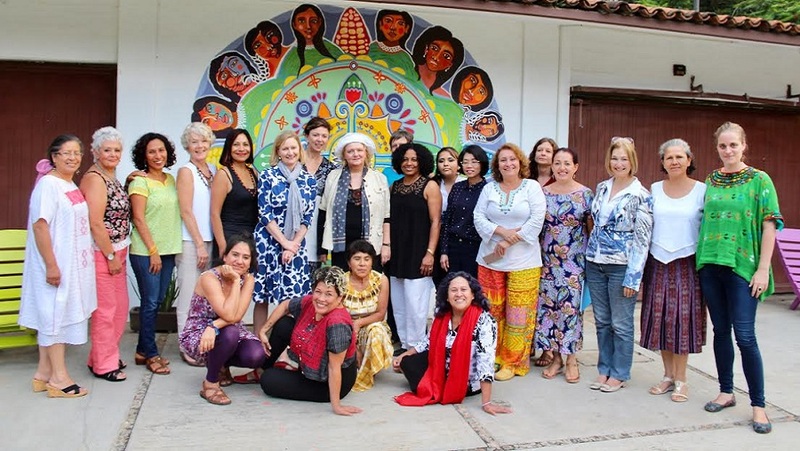 Last Friday, June 9, 2917, several worldwide ambassadors, the representative of UN Women in Mexico, and a number of women human rights defenders held a meeting in Casa Serena, or La Serena House, a space of self care, healing and reflection for women defenders in the state of Oaxaca in Mexico. Ana Güezmes, the representative of UN Women in Mexico, pointed to the important work done by La Serena House, the only place of its kind that combines a feminist approach with comprehensive protection in support of women defenders. The ambassadors Merethe Nergaard of Norway, Eva Hager of Austria, Sonja Ann Hyland of Ireland, Annika G. Thunborg of Sweden, and Rommanee Kananurak of Thailand agreed on the need for the Mexican government to comply with its obligation to guarantee the safety and security of all women human rights defenders. During the meeting, Yesica Sánchez Maya stated that the Mesoamerican Initiative of Women Human Rights Defenders (IM-Defensoras), unites women from different organizations in Honduras, Guatemala, Nicaragua, El Salvador and México. IM-Defensoras began its work in 2010 with the aim of providing a comprehensive, regional response to the rise in violence against women human rights defenders in Mesoamerica. The umbrella group heightens the visibility, recognition and impact of the work done by women defenders. Flor Goche, Coordinator of the National Network of Women Human Rights Defenders in Mexico, presented a panorama of the situation of women defenders in the country. The Network is made up of 222 women defenders and journalists from 23 states, and from 2010 to the present, has registered the homicides of 45 women defenders in Mexico. From 2012 to 2014, a total of 615 attacks against women defenders were registered in the country, an average of four a week. Ana María Hernández Cárdenas described La Serena House as one of the self-care strategies initiated by IMD, through Oaxaca Consortium. She explained the importance of self-care for women defenders, given that exhaustian and physical-emotional wear and tear affects their work and their struggles. She said that the comprehensive model of La Serena House arose from a diagnosis performed by women defenderes and consists of ten-day, self-care stays at the house, in which five women collectively use different therapies to generate processes of attention and healing as a response to the impacts of violence. At the end the meeting, the Ambassadors’ Mission culminated its visit with a tour through La Serena House and a screening of a vídeo containing testimonies of the women who have participated in the self-care stays. Ambassador Merethe Nergaard expressed her thanks for being able to learn about the situation experienced by women defenders and underscored the importance of their struggles. She concluded by recognizing the important work carried on by IM-Defensoras and their national member groups in support of the comprehensive protection of women human rights defenders in the region.